If you are interested in North American mammals then I suspect this app will come as a very pleasant surprise. 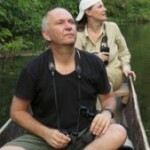 Chris and Mathilde Stuart, whose field guides you might know if you have been to Africa, have come up with something equally good for North America. And I had no idea it existed until I was sent a copy to review. 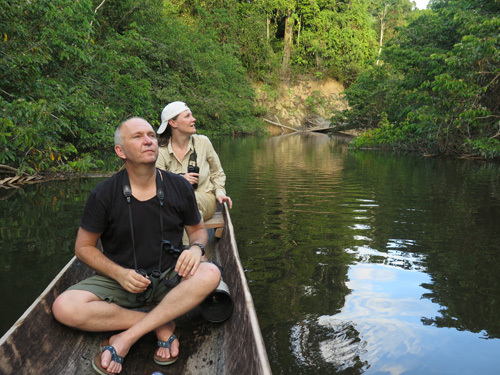 Like their other work, the app has an impressive amount of information that has very obviously been produced by people with a good deal of experience in looking for – not just looking at – mammals. 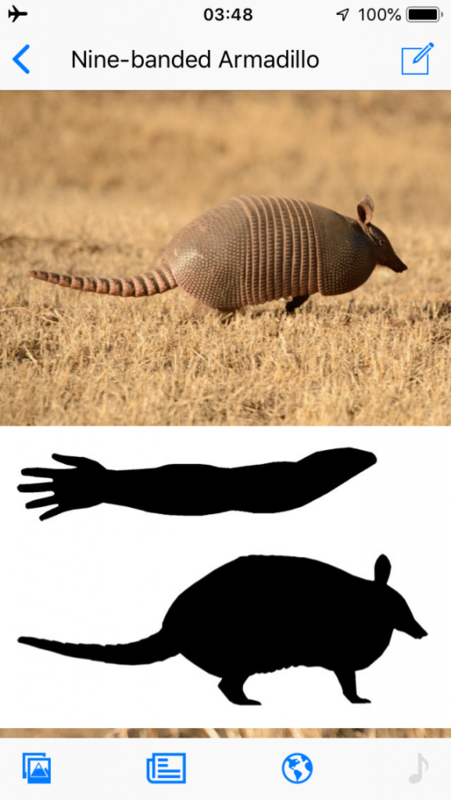 It takes a mammalwatcher to think of including graphics comparing an animal’s size with your hand or arm for instance, even if there probably isn’t much chance of confusing an Armadillo with something else. The app covers all the mammals of Canada, the USA and Northern Mexico. For each species there are notes, photos and sometimes video, along with range information including the best places to see many things. 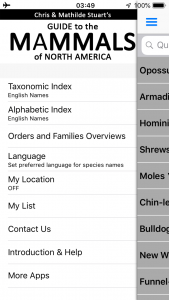 There’s also an option to select your location according to Canadian province or USA/Mexico state, to get a list of potential species in your area. Great stuff, especially as having it all on your phone means you can carry it everywhere: no need to wait til you get back to your tent or hotel room to double check something important. Available from the Apple and Android App stores. My compilation of some of the recent studies, media coverage and debates around polar bears. Although “rarely seen”? My personal experience from Florida and Texas is that they are generally one of the more common mammals around. If this is rarely seen I wonder what Wolverine would be considered…imaginary? 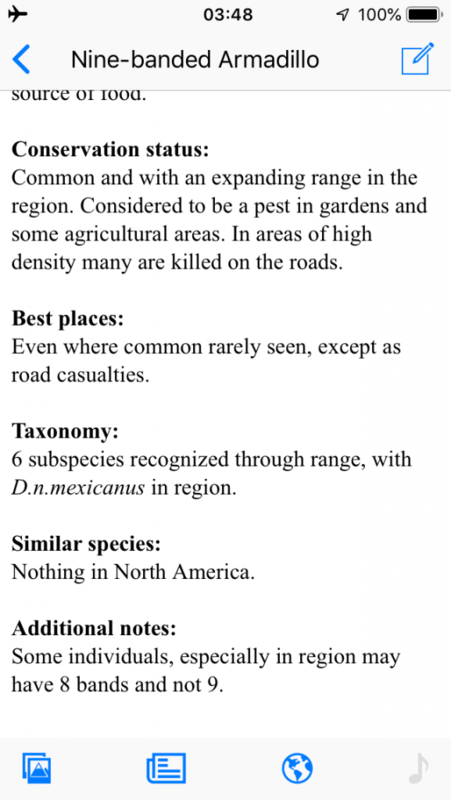 Yes, it would be very easy to list good places to see armadillos for different parts of the range. How does the level of information compare to the main book guides to north American mammals? I see this as complementary not replacing a field guide. 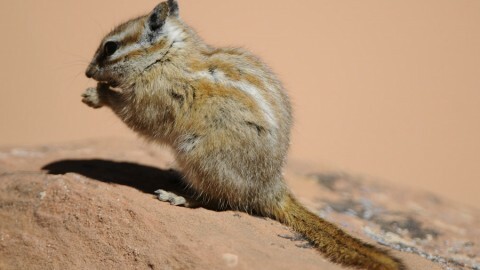 The app includes videos and sounds for some species plus often more pictures than in field guides. The location tool makes it much easier to zoom in on what you might be looking at. But for smaller mammals and bats I think Fiona Reid’s guide has more complete information.